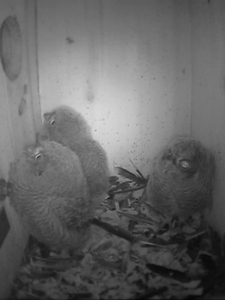 The owlets are getting ready to fledge. They flap their wings and stare up at the box ceiling and entrance. They know food comes through that hole. One afternoon, a cat suddenly meowed and frightened one of the triplets. He dashed from his corner of the box to the other side and cowered under the wings of his siblings. The parents run a relay of food to the owlets at short intervals. Moths, geckos, snakes, they keep their offspring well fed. At times the owlets appear as large as their parents. The mother will come in, land in the box and feed an owlet, while the male is more likely to poke his head through the entrance and dangle a tidbit of food to the first owlet who can grab it. Sometimes he enters the box, but when he does, he quickly exits, anxious to return to the hunt. They are a healthy clutch this year, a great satisfaction for all our efforts over the past years. 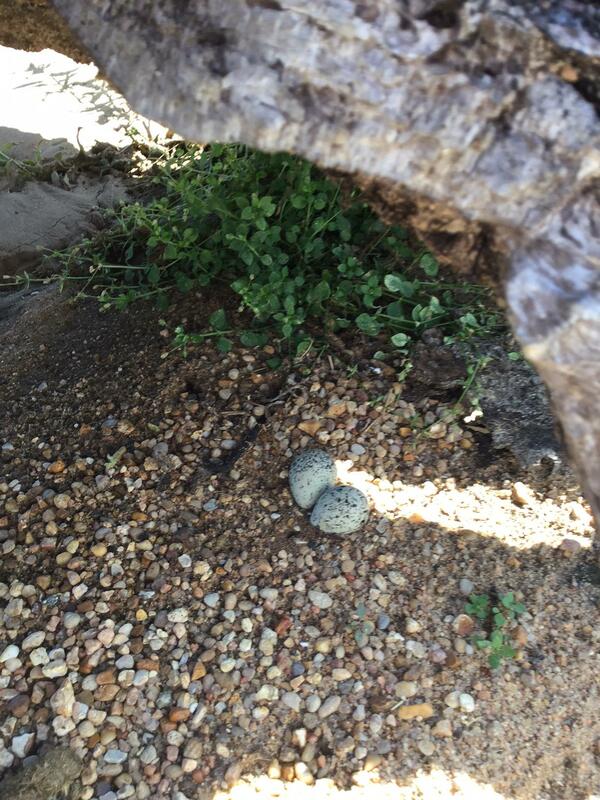 At the barn only two killdeer eggs remain in their nest under the log and the adults are gone. 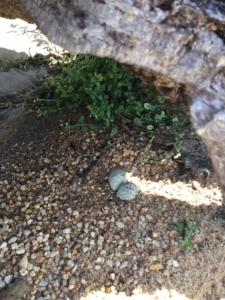 It’s possible only two eggs hatched and the family left – killdeer fledge quickly. Or the adults abandoned the nest because of a predator. They choose such precarious nest sites.